To create an application a developer needs to put in a lot of effort to plan. A lot of coding and functions start working in harmony, it is then when an application starts working. The process is long and vivid, but in a nutshell, a programmer has to endure and work hard to make an application work. Nowadays when an app is made it is made for two soul purposes. One is for mobile application, or a native application and the other one is a web app. Web designing company in India and the android app development companies are working together on day to day basis. If an app is installed directly on the smartphone and which even works, with or without any internet connectivity, which is totally dependent on the nature of the app. Whereas a web app needs a base of a web browser and needs a constant internet access to work on. The web apps and mobile apps have nearly the same interface with some minor differences. The web application has a difficult process to show an adjustable Graphical user interface whereas the mobile interface is created to adjust the resolution according to the device the app is being played in. So it doesn’t matter much if you are using a smartphone of 5-inch display or a tablet with a 10-inch display, the application should work flawlessly on any device it is being worked upon. Any mobile app’s working is dependent upon the configuration of the handset. If the device is compatible with the application, as a lot of application needs the latest operating system with an accelerated GPU and a large RAM to carry the application? In some cases application also need of GPS, camera or an accelerometer which in case your phone does not possess the app wouldn’t run on your device. But in a web app, these features are irrelevant because all these features are hard to get a laptop or a desktop computer. A mobile application needs to be updated over time whereas a web application automatically updates itself as soon as any change is done in the source code. 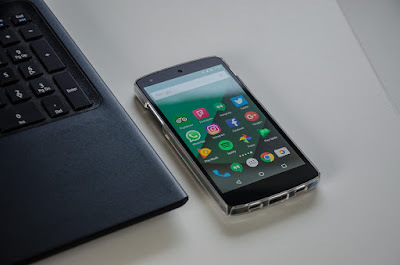 Before going ahead and start creating an application, you should consider these aspects and make a wise decision about which app to be created. D Amies is a leading web application development company also availing custom web design services. It is an affordable company offering quality SEO services as well.